The British Ambassador in Egypt Sir Geoffrey Adams and His Excellency Minister of Petroleum Eng. 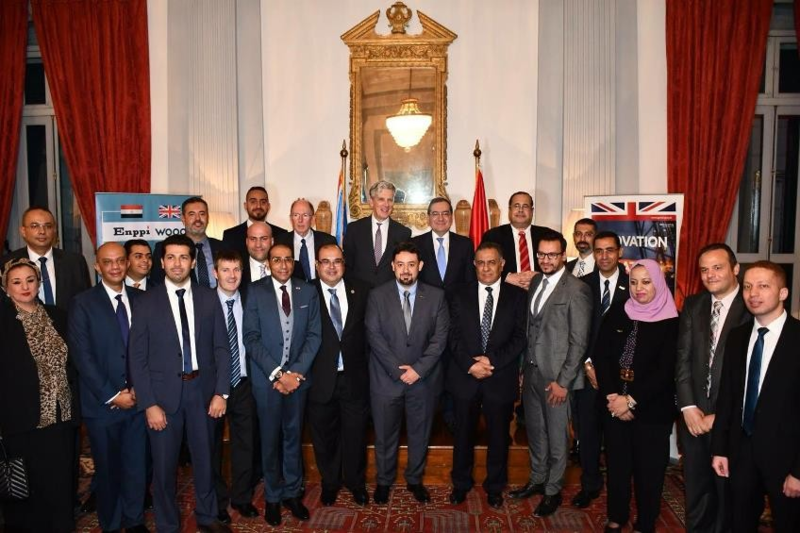 Tarek El Molla celebrated a new signed subsea agreement between Egyptian Petroleum Company ENPPI and British company Wood. Both companies have been working together for the past two years on the Burullus project, providing subsea engineering and operations support services through an ENPPI/Wood Consortium Agreement. The new agreement was signed by ENPPI Chairman Eng. Alaa Hegazy and Wood Technical Director Engineering Colin McKinnon. Together, both companies will continue to draw on a huge pool of talent and experience globally to provide the best independent technical solution for oil and gas projects as well as enable and facilitate subsea technology transfer and training through projects and training courses. We are committed to growing our presence in North Africa and are delighted to have further strengthened our position by partnering with ENPPI in Egypt. ENPPI and Wood are leaders in the Egyptian subsea engineering services market and this new cooperation agreement reinforces our existing working relationship. With our four decades of subsea experience and around 75 years of operating in this region, we are excited to combine our experience and expertise to ensure better solutions for our customers and global industry as a whole.